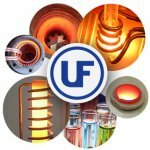 Founded and headquartered in New York, Ultraflex Power Technologies provides customer-focused solutions and equipment for induction heating, melting, and casting applications worldwide. Implementing an Ultraflex induction solution can help you reduce manufacturing costs, increase energy efficiency, improve safety and meet your lean manufacturing objectives. Ultraflex Power Technologies offers the most advanced and innovative digitally controlled induction heating technology in the industry. The flexible output circuits and adaptive tuning power supplies feature the widest load matching and frequency ranges on the market. This ensures that our customers’ varying load conditions can be precisely matched to the equipment which maximizes operating efficiency and minimizes process deviation. Ultraflex products have been designed and engineered with the customer in mind, allowing for simple operation and finite process control. Ultraflex power supplies are rated according to the RF output power, not the input line power, so you are assured that full power can be delivered to the induction coil. The compact modular and flexible systems are suitable for a wide variety of induction heating, casting and melting applications. Systems can be configured with remote heat stations to optimize footprint requirements and work-cell layout. Our systems can easily be integrated into manual assembly processes or incorporated into a fully automated production line. Ultraflex solutions include standard induction heating systems or complete turnkey systems. Our products are designed and manufactured in ISO 9001 facilities, are CE marked and meet current WEEE, RoHS and REACH directives. Additional certifications, such as UL and CSA, are available upon request. Ultraflex equipment incorporates many advanced diagnostic features and modular design advantages which optimize serviceability and maintainability. Our service technicians can effectively resolve most field issues over the phone, utilizing remote diagnostics to provide effective service and customer support. They are also available to support field requirements when needed. Ultraflex offers technical service and support in the USA (New York and California), Europe (Bulgaria), China and India, as well as successfully works with additional distributors and partners worldwide. For OEM customers, Ultraflex Power Technologies offers full systems, power supplies, modules or components to best meet their requirements for an integrated equipment solution. 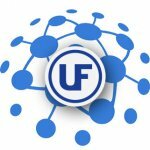 Ultraflex offers extensive technical expertise with power electronics design, including the development of custom Induction Heating, Plasma, Xenon Light Generators, Series and Parallel Inverters, AC-DC and DC applications, conventional and high-frequency power supplies and battery chargers. With over 100 years of combined engineering and application expertise, Ultraflex has developed innovative solutions for our customers’ most demanding applications. Above all, the team at Ultraflex Power Technologies will help you find solutions for your complex heating applications and manufacturing system requirements.